40 years ago, big things were happening around Mount Pleasant and the Central Michigan University campus. 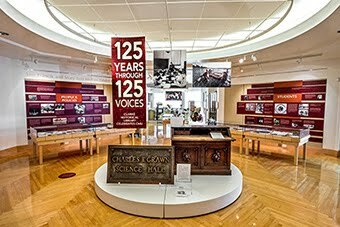 Enrollment was climbing and new programs, including CMU's first doctoral program, were starting. Central moved up to Division I status in college athletics. And new buildings, including Perry Shorts Stadium and the Rose / Ryan Center, were popping up all over campus. It was at this time, August 7-11, 1975, that a major international athletics competition was held in Mount Pleasant on the campus of CMU. ABC's Wide World of Sports was on-site filming the events. The American, Canadian, and French first ladies came to Isabella County as did members of the Kennedy family. Over 3,000 athletes from all 50 states, the District of Columbia, and several other countries were staying in the athletes' village (also known as CMU Residence Halls). It was the 1975 International Special Olympics - and event that is still remembered fondly by those involved 40 years ago. The history of the games coming to Mount Pleasant is a short, but jam-packed, history. 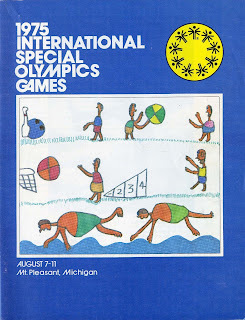 Just three years before hosting the International Games, nobody would have imagined that the International Special Olympics would have taken place in Mount Pleasant - CMU did not become the headquaters of Special Olympics Michigan until the fall of 1972. 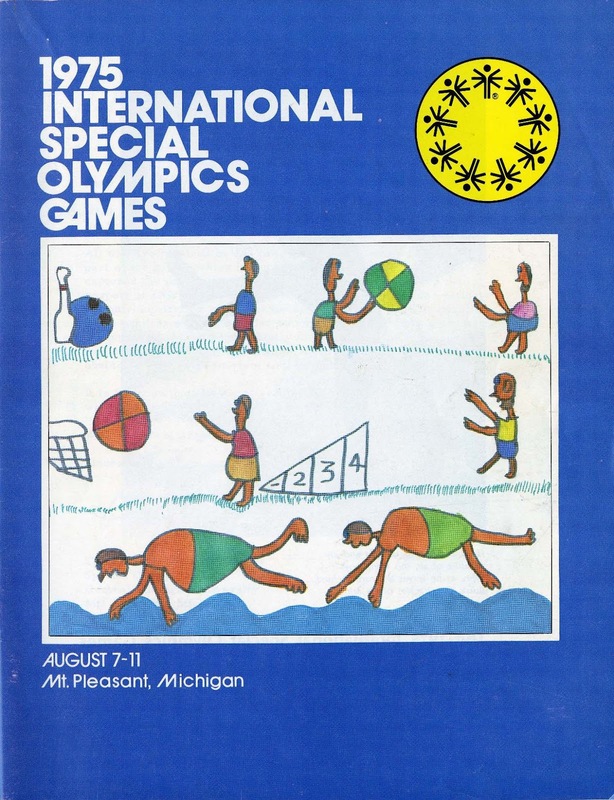 At that time, the University set to hosting the first Michigan State Summer Games. 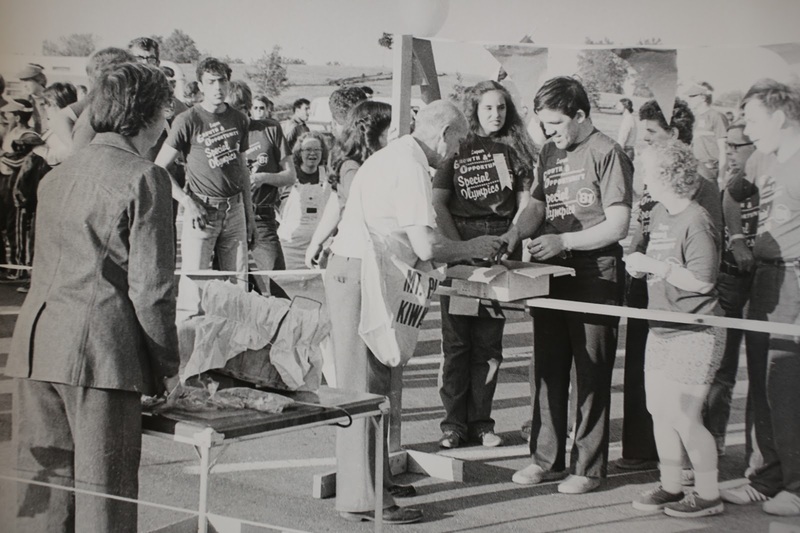 Nine months later, in 1973, CMU hosted the inaugural State Games. With over 1,600 athletes participating in brand new facilities, the Rose / Ryan Center and Perry Shorts Stadium -- so brand new that the paint was drying in the Rose Center when the Games were held and the landscaping had yet to be completed -- the event was considered a resounding success. In fact, it was so successful, with only one crack at the State Games, CMU submitted a bid in February of 1974 to host the 1975 International Special Olympics. 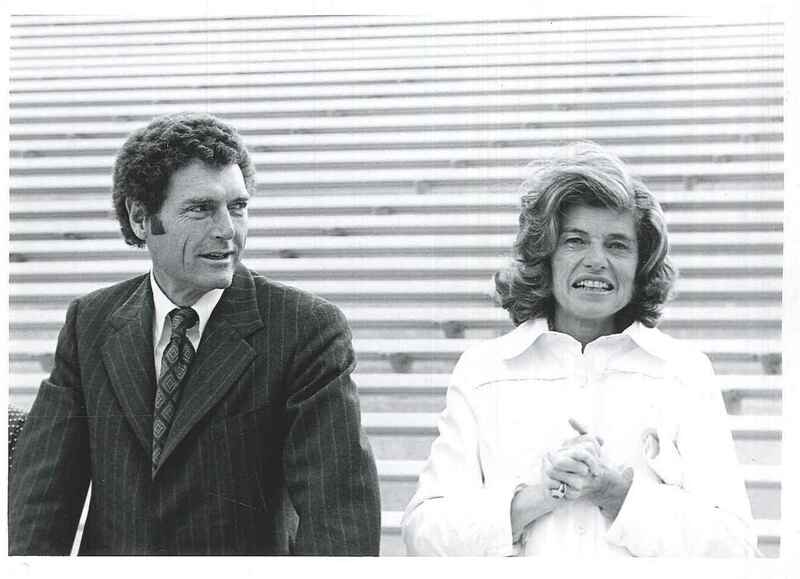 CMU's proposal was greeted enthusiastically by Eunice Kennedy Shriver and the staff of Special Olympics. 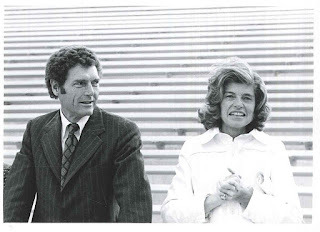 Officials from the international offices of Special Olympics, including Ms. Shriver, visited the 1974 State Games to evaluate Mount Pleasant and CMU as the site of the Fourth International Special Olympics Games. 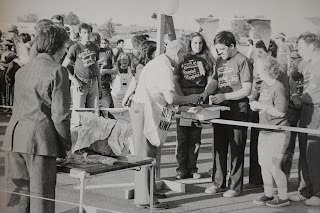 1975 International Special Olympics Games to CMU. One month after that visit, and with only two State Games events under their belts, CMU was chosen as the host for the 1975 games. 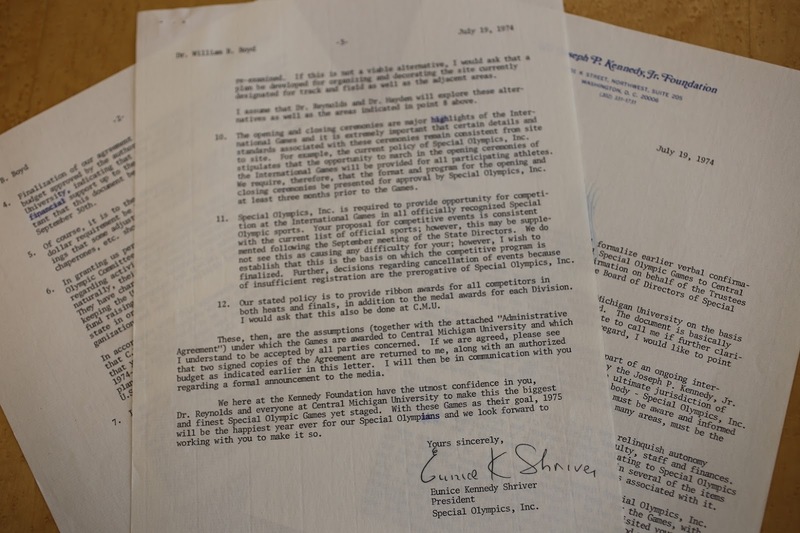 Among the great deal of correspondence between CMU President William Boyd and Joseph P. Kennedy Foundation is a letter from Eunice Kennedy Shriver to President Boyd dated July 19, 1974 awarding the games to CMU. Ms. Shriver states in the letter, "We here at the Kennedy Foundation have the utmost confidence in you, Dr. Reynolds [Chair, CMU Dept. of Special Education] and everyone at Central Michigan University to make this the biggest and finest Special Olympic Games yet staged." The selection of Mount Pleasant as the site of the Fourth International Games was certainly a shift from the previous three sites - Chicago (1968), Chicago (1970), and Los Angeles (1972). But despite the smaller size of Mount Pleasant compared to the second and third largest cities in the United States, CMU, Mount Pleasant, and the state of Michigan came out in full force for the event. The CM Life newspaper ran advertisements and editorials urging students to volunteer (Jan. 27, 1975, p. 4, col. 1). As a result of the publicity, 750 people - students, faculty, staff, and community members - volunteered for the event. 1975 International Special Olympics Games. For months, the campus and the city planned for the event. When the athletes, their families, celebrities, and media outlets arrived in August of 1975, CMU was well prepared. Both the local newspaper and the CM Life printed special sections giving local fans a guide to the events (July 30, 1975, B1-B8). A 64-page glossy program was published, welcome packets were created for all of the visitors, and, not unlike International World Summer Games in Los Angeles a week ago which were broadcast on ESPN, portions of the games were broadcast on national television. Ms. Shriver's confidence was not misplaced and the Games were another one of CMU's great successes with Special Olympics. In the forty years since those games, the relationship between Mount Pleasant and Special Olympics Michigan has grown. Each year, thousands of athletes and their families come for the Summer State Games the weekend after Memorial Day. CMU is still the site of the headquarters of Special Olympics Michigan. And the Clarke is home to the documents that tell the story of the beginnings of Special Olympics Michigan, the 1975 International Games, and efforts of athletes, their families, volunteers, and the community to make the Special Olympics a long-standing Central Michigan University tradition.